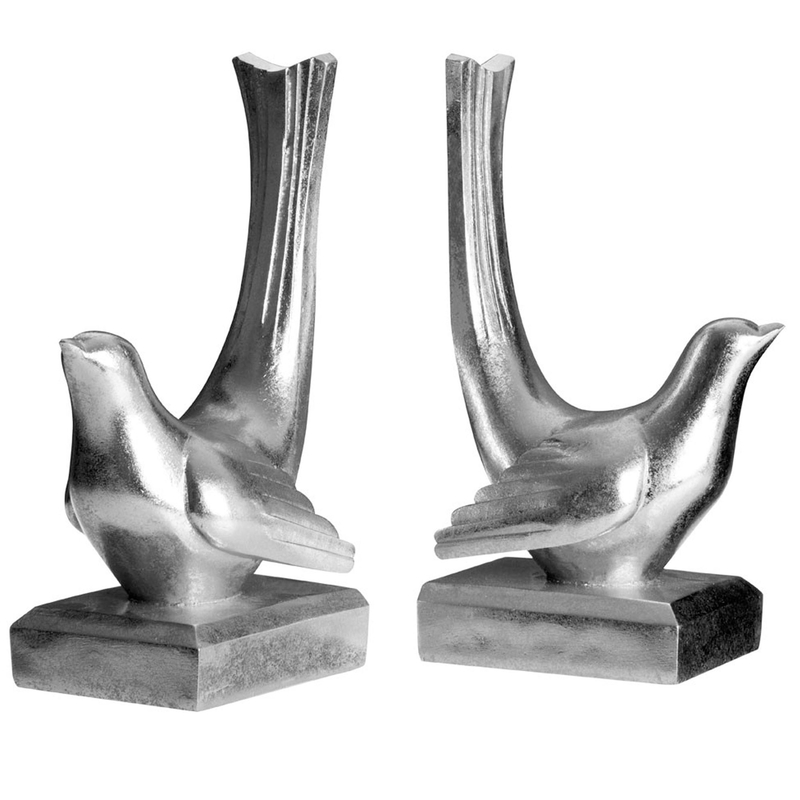 Make your home feel a lot more modern and furnished by introducing this magnificent Set Of 2 Silver Bird Bookends. These bookends have a lovely design that looks very sleek and stylish, given a minimalist style and silver colour to make it look especially eye-catching and modern. These bookends are created from a very sturdy polyresin.